By 2045 the D.C. region will see an additional 990,000 new jobs. But unless there’s a push to build new housing, the employees coming to fill those jobs will struggle to find a place to live. 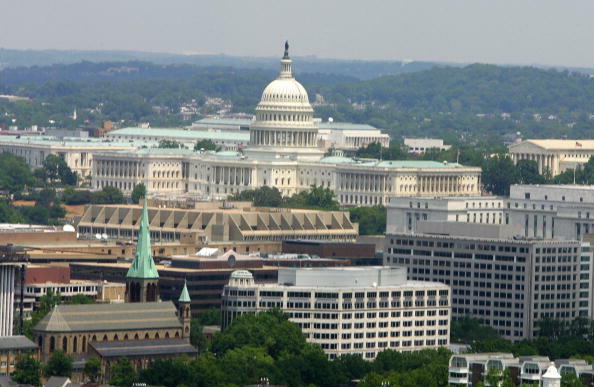 WASHINGTON — By 2045 the D.C. region will see an additional 990,000 new jobs. But unless there’s a push to build new housing, the employees coming to fill those jobs will struggle to find a place to live. That’s the upshot of the report from the Metropolitan Washington Council of Governments. According to COG’S forecast, at least 100,000 new housing units are needed by 2045 to deal with the region’s growth. But members of the COG’s Board of Directors raised concerns about the issue — and the roadblocks to solving it. COG Board Chairman and Loudoun County Supervisor Matt Letourneau said any discussion of increasing housing in the region means discussing infrastructure — and in his area, he said, that means adding road capacity. Letourneau said residents often oppose any move to add housing in their communities for one simple reason. “They’re tired of sitting in traffic,” he said. It’s an issue that he says crosses county and state boundaries. John Foust, a COG Board member and a Fairfax County Supervisor said there’s no shortage of market-priced housing. “The challenge is obviously what the market won’t deliver — and that is affordable and workforce housing,” he said. Fairfax County Board of Supervisors Chair Sharon Bulova, also a COG Board member, agreed. She cited the growth in Tysons Corner as an example. “The market will sort of take care of folks who are willing and able to pay more … people are paying at the high end for a modest apartment,” she said. In Montgomery County, Roger Berliner, county councilmember, told the COG Board another impediment to adding housing capacity; overcrowding in area schools. “We are up against the limit of what we think is acceptable for kids and parents to endure in terms of school overcrowding,” he said. The next step for COG: bringing its housing and planning committees together to talk about where future housing should be proposed.